Hsin Framing & Moulding Co., Ltd.
Unit #103 – 8828 Heather Street. Vancouver. HSIN Framing & Moulding Co., Ltd. is a family-owned business, a premier distributor of top quality wood picture frames and mouldings in Canada. Established in 1965, as a wood picture frame moulding manufacturer in Taiwan, HSIN Framing & Moulding Co., Ltd. has provided customers worldwide with top quality wood mouldings for over 45 years. In 1995, HSIN established a warehouse in Richmond, BC. Canada. 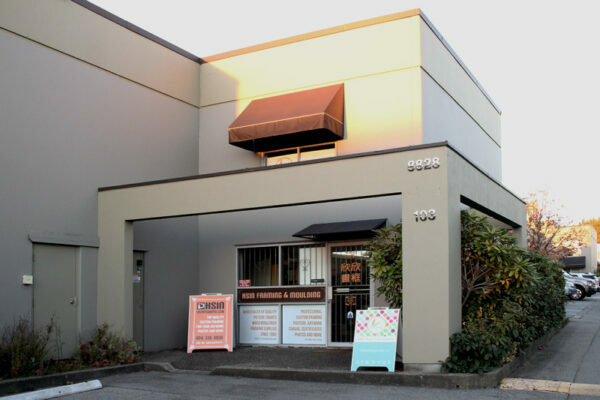 In 2014 HSIN moved its warehouse to Vancouver, BC. Canada. Since then, it has maintained its fine reputation of providing Canadian customers such as art galleries, custom framing shops, artists, photographers, interior designers, and building contractors etc… with superior wood mouldings and picture frames. HSIN’s mission is to consistently deliver the best combination of products, price and service available to our customers. Thank you for your interested in our products. For more information, please contact us at 604 231-3728.